Henrikh Mkhitaryan made his full debut for Manchester United in the derby clash against cross-city rivals Manchester City. The Armenian international only lasted 45 minutes as head coach Jose Mourinho substituted him off during the interval after an underwhelming display. 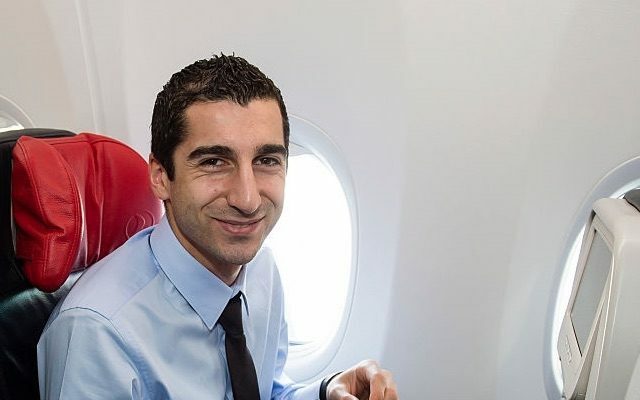 Mkhitaryan was dispossessed more than any other United player – 3 times – and had more unsuccessful touches than any of his teammates – 3 according to Whoscored. The former Borussia Dortmund man was criticised during the game and half time for his display. We took a look at how United fans reacted to his performance on social media. There is no defending his display but he could do with more time to settle in considering he only arrived over the summer. Think part of the problem here is that Rooney and Zlatan isn’t a combo that suits counter-attacking. Mkhitaryan does, but has been dreadful. He can read the future! Two brutal but necessary changes by Mourinho at half-time. Lingard and Mkhitaryan had to go. Herrera to help Pogba/Fellaini. Rashford left. Think David Moyes would probably take him given the chance. #ManchesterDerby Mkhitaryan looks like he couldnt get in a sunderland team, awful.